We can help you find a path through the technology forest that will get you to your destination. Our expertise is software, hardware, and their intersection. "Genius: 1% inspiration and 99% percent perspiration." Amazing ideas are a necessary but insufficient ingredient of innovation. You must also bring the skills and talent necessary to execute those ideas. We have the skills necessary to turn your idea into reality. We will help you through the design cycle from start to finish. Some say artificial intelligence will eat the world. We are not sure about that, but we sure that if your competition gets it before you do, they will eat you. Our expertise is in building machine learning models that can predict the future based on your hard earned experience. We can take your datasets or data streams and train them with the outcome of your human processing systems. Our models can then predict what your people would have said about data. You can then augment or replace your human processing of your datasets. These days EVERYTHING has software. Your next great invention will too! Whether you need mobile software, enterprise software, Internet software, embedded software, or Linux kernel drivers we can help. Our developers have extensive experience and have deployed software using countless platforms. We can also help you with deployment, either via app stores, AWS, Google Cloud, or whatever. "It is paradoxical, yet true, to say, that the more we know, the more ignorant we become in the absolute sense, for it is only through enlightenment that we become conscious of our limitations." 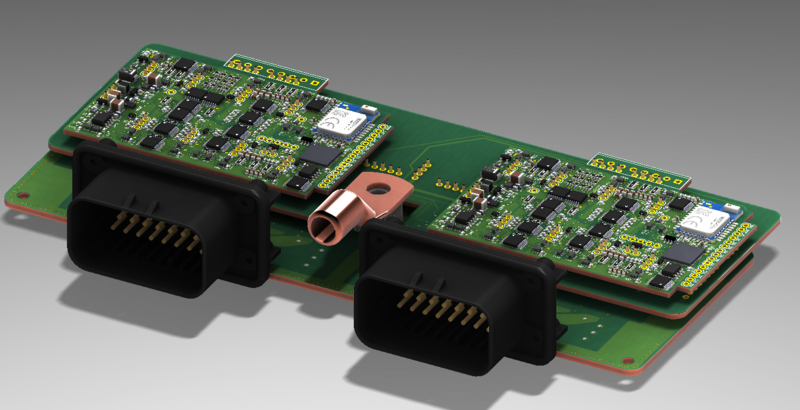 If your project requires custom electronics, we can help! Our approach is rather traditional. Once we understand the goal, we start drafting a schematic. Reading through endless datasheets, we narrow down parts choices to meet required specifications, always with size and cost in mind. We then draw a PCB using CAD software. Once the PCB returns to us from the fabricator, we assemble our prototypes in house and test them at our state of the art electronics laboratory. There is really no way to over emphasize importance of speed in product development. The first to market advantage is huge. The opportunity cost of working on a bad idea is also extremely high. We believe in the philosophy, "If you fail, you should do it fast." This philosophy supports our strong belief in building prototypes before investing in the finished product. You should put your ideas in front of customers early and often and gauge their interest. We live in an age where this has never been easier. We take advantage of our access to these technologies and share that access with you. Once you have a product that you want the world to see, you need to be able to make it at a price people are willing to pay for it. We will design you buildable products at a price where you can make money. We think about the global supply chain and how that will affect your product. We can put you in contact with excellent on shore manufacturing partners. We also design comprehensive testing tools for the manufacturing process. You need to know that the products you ship out are working before they get to your customer. We design tools to ensure your customers get excellent quality products off the manufacturing line. DC Control Systems, rocks our world! "It was great working with you and if you ever need a reference for CDC or other projects I'll be happy to provide one." "It was a pleasure working with you on this project and we gained a lot of insight on how we might take advantage of technology in the future."